By Cathal Kearney | February 19, 2013. Our boy in green Cathal Kearney this week looks to the Championship to see how our Irish internationals are getting on. The Irish team shed a few seasoned veterans in the wake of their shambolic Euro 2012 campaign. With the retirement of one Shay Given came the question on everyone’s lips; who would be his replacement? 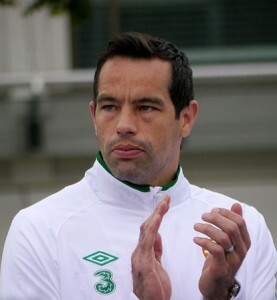 Step forward David Forde. The Millwall net-minder was given the nod by manager Giovanni Trapattoni ahead of Sunderland’s Kieren Westwood. Following a solid performance in goal against Poland a fortnight ago, he looks odd-on to be in goal for the World Cup qualifiers against Austria and Sweden next month. Forde has translated his good form to the international set-up following a decent run of form for Millwall in the Coca-Cola Championship. His side faced giant killers Luton Town away in the FA Cup on Sunday. However, the game was to be the end of the road for the Hatters as a David Forde-inspired Millwall dispatched their opponents with relative ease. Goals from Rob Hulse, Dany N’Guessan and James Henry ultimately earned Millwall their 3-0 win, but were it not for their Republic of Ireland international goalkeeper, things may not have been so rosy for the Lions. Luton’s in-form striking duo Andre Gray and Scott Rendell had been on fire up until this game, but an accomplished performance by Forde nullified their goal scoring prowess. Forde made a great save from Gray as he palmed away a fizzing shot from the striker after a neat one-two in the box, much to the dismay of home support. Another fine effort from JJ O’Donnell was saved by Forde, whose side were on top for most of the game. Luton threw the kitchen sink at Millwall in the second half, but some stubborn defending and a resilient Forde in goal eventually paid off. A succession of goals earned the away team their massive win and Millwall fans will be hoping that their Irish goalkeeper will once again produce a fine performance in the quarter-finals.